Tactical pants have changed a lot in the last decade or so. Back in the early 1990s when hiking and climbing pants first caught the attention of law enforcement officers, officers primarily wore the comfortable and rugged clothing for just training. Then tactical apparel became a common police uniform of sorts. And because of the comfort and durability, tac pants and polos became a favorite for off-duty wear. One of the biggest changes in tactical pants and polos is that the price climbed. High-end tac pants, especially the type best suited to be worn off duty, can now run more than $75 on sale. Tactical polos followed the same trend. The rising price of tactical apparel for duty and off-duty wear led the customers of Propper International to approach the company and ask for a value line of pants, shorts, and polos that offer many of the same features as the higher end tactical clothing. In answer to that request, Propper created its new EdgeTec line of tactical wear, according to Joe Ruggeri, the company's vice president of product development. Ruggeri says EdgeTec is not just a value line, it also offers the comfort of lightweight materials and the kind of durability law enforcement depends on. 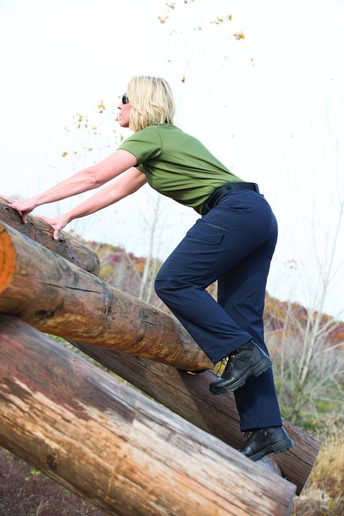 The new EdgeTec line includes two types of tactical pants, EMS pants, a polo, and cargo shorts in male and female cuts. "The EdgeTec line has the technology of contemporary tactical clothing without the price," Ruggeri says. EdgeTec tactical pants are available in two styles: five-pocket "slick" and seven-pocket tactical. The slick pants have the casual look that many officers now prefer off duty. For example, they don't have big exterior cargo pockets that tell every person with any knowledge of arms that the individual wearing them is either a cop or a concealed carry civilian. That's why they're called "slick." But even though the tactical aspects of the pants are not readily apparent, they have plenty of space for weapons, magazines, and gear. Ruggeri says the "slick" pants have a manufacturer's suggested retail price of $29.99. The slick pants are also available in shorts. The EdgeTec seven-pocket tactical pant is a standard tactical pant design with big exterior cargo pockets. List price on these pants is $32.99. EdgeTec EMS pants are specifically for emergency medical technicians and tactical medics who need rugged apparel with places to attach and store first-aid gear and trauma kits not normally carried by officers. The nine-pocket EMS pants list for $39.99. All of the new EdgeTec pants are constructed of 100% ripstop polyester. Features include: water repellent treatment that also resists dirt, a slide waistband with internal shirt gripper, front hand pockets with knife reinforcement, reinforced knees, and deep back welt pockets. "Whatever you put in the pockets on these pants will stay there until you need it," Ruggeri says. Propper took great pains to make sure the female versions of the new EdgeTec pants are more than just slightly smaller redesigned men's pants. "Women appreciate their own cut and style, so the EdgeTec women's pants offer a more modern fit," Ruggeri says. EdgeTec polos also offer high-end features at a value price of $34.99. The 100% polyester shirts are snag- and pill-resistant, breathable, quick drying, and wrinkle resistant. They also have features that help them maintain a professional appearance such as collar stays that prevent the collars from rolling up. 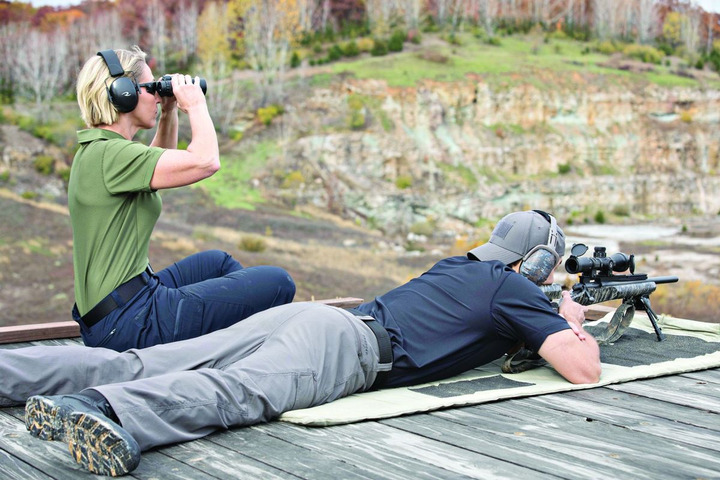 Propper will introduce the EdgeTec line of tactical apparel at the 2019 Shooting Hunting and Outdoor Trade (SHOT) Show this month.